This is one of the most informative podcasts we’ve recorded. This month we focus on the topic of micro credentials and feature Wisconsin’s Superintendent of the Year, Dr. Patricia Deklotz of the Kettle Moraine School District. 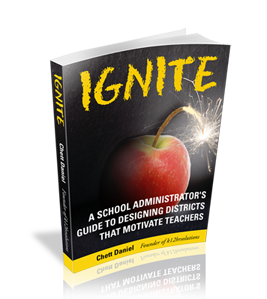 I was first introduced Kettle Moraine’s efforts in micro credentials in the November issue of School Administrator. Micro credentials may seem like the next fad in education, but Dr. Deklotz and the Kettle Moraine School District aren’t just using micro credentials as an accessory or an adornment in the latest edition of education trick ponies. When you listen to this podcast you’ll hear how Kettle Moraine has made micro credentials the centerpiece of improving organizational learning and effectiveness in areas related not only to professional development, but also compensation, recruiting, succession planning, and employee engagement. 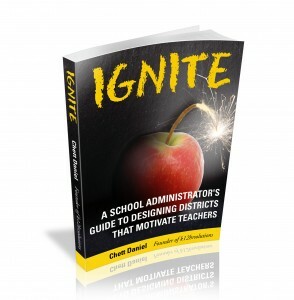 Also, because the topic of teacher engagement was a key part of this podcast, I am also providing a free copy of our ebook Ignite: A School Administrator’s Guide to Designing Districts that Motivate Teachers. In the podcast we discussed deeper learning as one micro credential offered by Kettle Moraine. Watch this video to see how one P.E. teacher in the district is using it to engage students in their own learning. Tools for Managing Micro Credentials. We are excited about the information Dr. Deklotz shared in this podcast and the resources we’ve provided and we hope you find them useful. Please consider sharing it on Twitter or other social media platforms you may use.